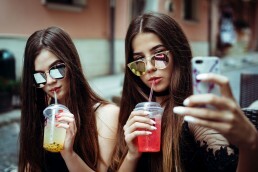 Influencer marketing is continuing to grow, but with so many influencers out there, and little regulation as to how they operate, how can you tell what makes a good influencer? Here are some key indicators to look out for. Quality content – We’ve all heard the Bill Gates’ line that “Content is King” and well, its true. Good, appealing, original and relevant content is central to creating and sustaining an engaged audience, which is exactly the type of audience you want to get in front of. It’s not essential that the influencer has a professional looking blog, movie quality YouTube videos or Instagram posts that look as though they’re straight out of Vogue, but it is essential that what they’re sharing is compelling and their followers are engaged. Regular posts – Although, if pushed, we would always say “quality over quantity”, quantity matters too. If the influencer you have your eye on hasn’t posted anything on their blog, YouTube channel or social media for a few weeks, then it might be a sign that they’ve moved on to other things. Long gaps in activity are likely to cause a significant drop off in audience loyalty, interest and engagement. Ideally an influencer should have a schedule that they more or less stick to, whether that be posting on Instagram once a day, or uploading a new YouTube video twice a week. Good engagement – We’ve said it before and we’ll probably say it again, but engagement rate is a better indication of an influencer’s credibility than the number of followers they have. It is increasingly easy, and cheap, for an individual to purchase fake followers to inflate their influence and secure brand deals off the back of that fake audience (last year one agency highlighted just how easy). Fake engagement can also be purchased, but, certainly in the form of comments, it’s relevantly easy to spot, (think generic comments like ‘cool pic’, ‘love it’ or ‘great page.’) It’s easy to work out an influencer’s engagement rate, simply take the average number of engagements an influencer gets on a post and divide it by the number of followers they have. If an influencer has an engagement rate of 1% or less, then it’s likely they will have some fake followers. 5% engagement rate is considered fairly average, whilst an engagement rate of 8%+ is considered strong and the level we would recommend working with. Good balance of original and sponsored content – If you’re looking for an influencer to work with and the vast majority of their posts are sponsored content, then we suggest you steer clear. There is no rule as to how many sponsored or paid for posts an influencer should do, but sharing too many will almost definitely result in reduced credibility with their audience who will probably begin wonder if they’re only posting because they’re getting paid to. Whereas an influencer who only occasionally raves about products or services is more likely to be taken at face value, and their review seen as an authentic and genuine endorsement. So if the fashion influencer you’re looking to work with is promoting travel insurance one day and reviewing pet food the next it might be best to carry on your search. Easy to work with – Was it difficult to find the influencer’s contact details? Did they take weeks, and a nudge or two, to come back to your initial enquiry to work with them? Was their reply lacking in enthusiasm and professionalism? Or were they really excited by your proposal and brimming with ideas as to how you might work together? Building a relationship with an influencer can be rewarding and beneficial for both parties, so it’s a big bonus if they’re easy and friendly to work with. If you’re looking to start an influencer marketing campaign, then get in touch. We’d be happy to pull a proposal together for you.